The Dragonfly Cabin sleeps 2, and is new in 2012. Or, you'll love our individual B&B rooms patterned after Montana classic themes that everyone loves, Great breakfast too. Luxury vacation rental cabins designed by Frank Lloyd Wright just outside the sleepy town of Darby. 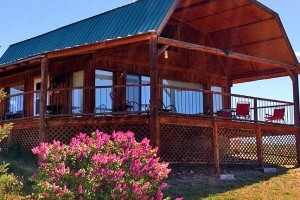 Providing individual cabins for vacationers & anglers who come to fish the legendary Rock Creek. With a group meeting facility for weddings & groups. Warm cabins ideally located across from the Clark Fork River, just 2 mins from Rock Creek and easily accessible to nearby hunting areas for elk, deer and more. In these secluded cabins, you have awesome views of the surrounding Swan and Mission Mountains. On Seeley Lake. Enjoy swimming, boating, fishing. 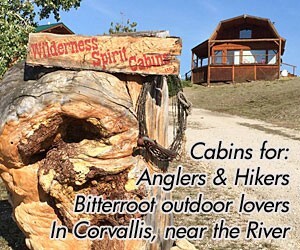 Trout Bums offers a wonderful variety of accommodations, outdoor adventures, and ultimate relaxation. Perfect for family trips, retreats, romantic getaways and more. THE standard of Luxury in Montana. From renowned cuisine, to unique family adventures and private concierge. Luxury indoor cabins & Glamping cabins.